On Sunday, I celebrated Christmas with my dad's side of the family in Delaware. We gather to catch up, eat and engage in a white elephant gift exchange. It is always great to see my grandmother. Her chicken salad (with its homemade salad dressing) is also a highlight and will always be one of the top 5 best things I (or her children or other grandchildren) have ever eaten. In the gift exchange, I "stole" from my cousin and also ended up with a huge 2 1/2 lb. 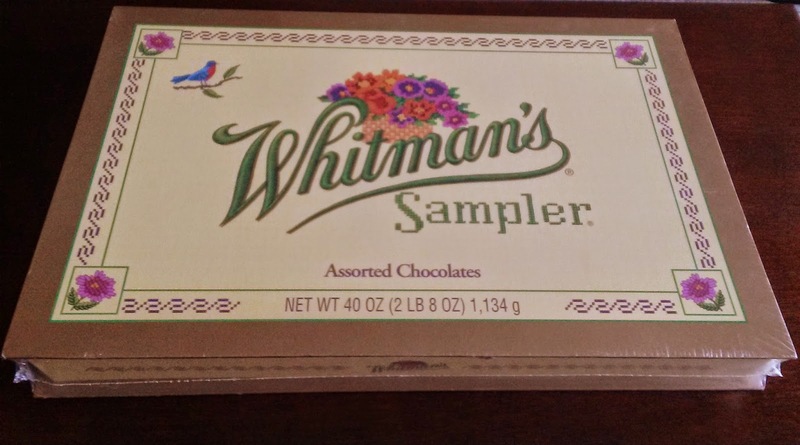 Whitman's Sampler box of chocolates. Believe it or not, I actually haven't opened it yet. 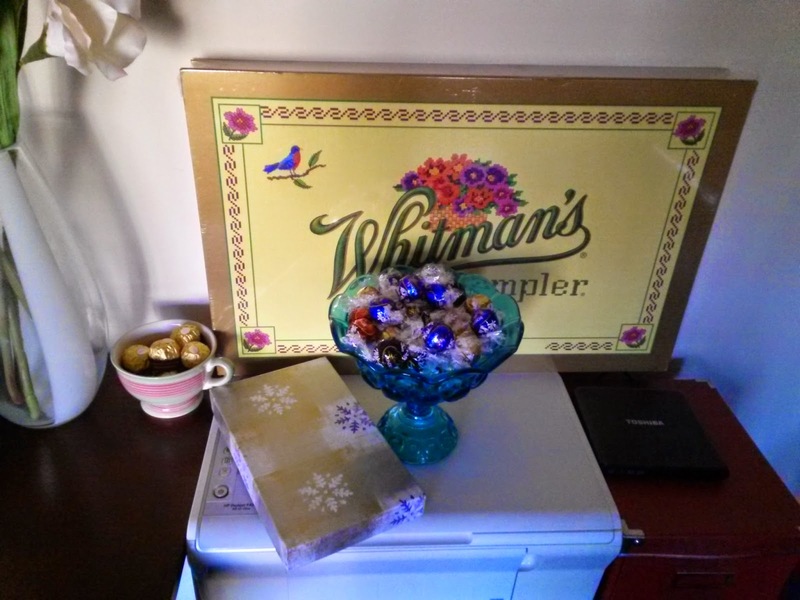 Rheb's assorted (which is a local Baltimore brand routinely purchased by my maternal grandfather), assorted Lindt Lindor balls in addition to the Whitman's Sampler. 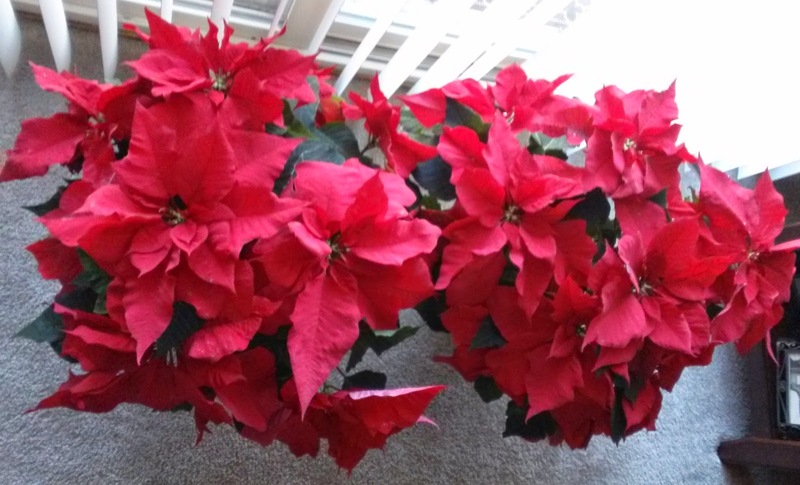 Several poinsettias decorated the banquet room we were in. 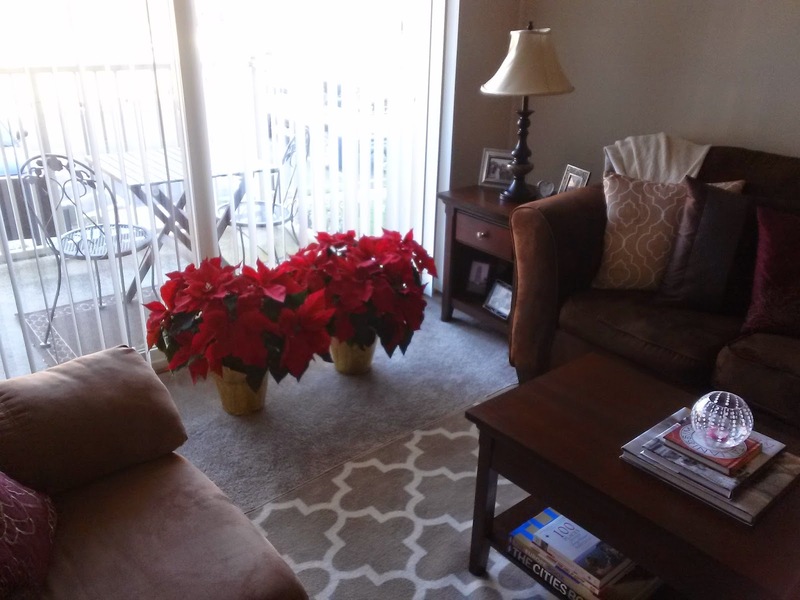 Apparently I'm the only the one with a green thumb for potted plants, even though they're all farmers, so I took two large ones home. I adore their red color. They are gorgeous. 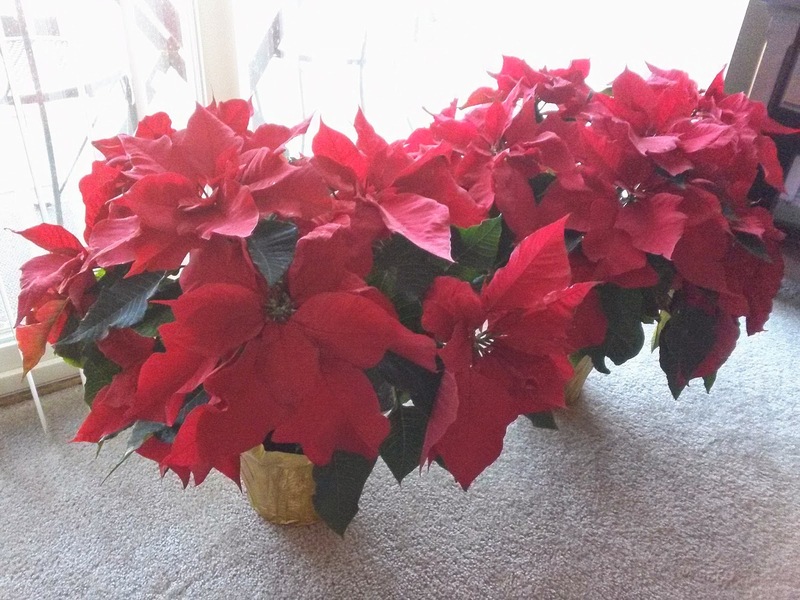 "Poinsettia" in Italian is Stella di Natale, literally the "Christmas Star." I apologize for not posting this on Sunday as usual. Something happened at the apartment community where I live and work just as I was due to leave at 9 AM, and so I delayed my departure an hour. As a result, I couldn't do all my laundry prior to the trip to Delaware. After the trip, I had to finish up, but only did a little more since E wanted to see me (as we usually see each other at least a little bit on Sundays. I also had enough quarters to just wash the last load of black sweaters and delicates I needed for the rest of the week today.). After he generously treated me to Chinese and left, I was still undecided on which topic I wanted to write about and just plain tired. Since I am trying to work on this blog every day, maybe I'll keep a draft documenting a simple pleasure so I can quickly publish it if multiple unexpected events arise on a Sunday again or create a deadline where I must finish by Friday and simply schedule it on the appropriate day. Whatever I do, I will be better in the future. I want my audience to expect a post at least every Sunday. As an INFJ, I am usually a woman of my word.